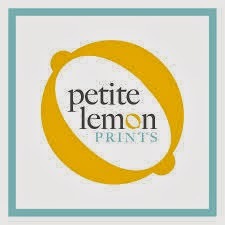 Another great company I have to tell you about is Petite Lemon this company makes all kinds of personalized items such as growth charts, posters and prints, t-shirts and clothing, cards and stationary, and so much more. 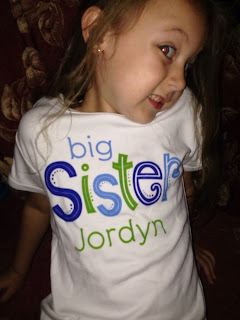 I choose to review the playful doodles Big Sister T-shirt in blue/green and also the playful doodles little brother T-shirt in blue/green also I love these shirts they are super cute and if you like your kid's to match this is perfect!! We absolutely love these shirts these are perfect to wear to a family get together or if we are just going out for the day. If you get white be careful especially with children when they eat or drink but that is to be expected. I love how they coordinate together. And the material of the shirts are really nice they aren't like the ones you would buy at walmart the material is pretty thick. We’re moms and dads who love designing personalized, colorful goods that add a thoughtful, modern touch to your home and family. We are delighted to offer you an exclusive, modern collection of decor, baby keepsakes, and gifts including personalized growth charts,alphabet posters, and a darling big sister tshirt and big brother tshirt collection. Whether its creating personalized growth charts to capture your little ones growth, creating a unique big brother tshirt or big sister tshirt, or crafting special baby keepsakes for your new nursery, we love adding style and meaning to your special festivities and celebrations. At Petite Lemon, all of our personalized growth charts, décor, 1st birthday shirts, personalized birthday shirts, personalized tshirts for kids and big sister tshirt and big brother tshirt collections are created by skilled Petite Lemon designers and are printed with premium papers, super soft cotton tees, rich eco-friendly inks and vibrant colors. Every personalized growth chart and poster is personalized with your little one’s name or birth date. Our personalized growth charts are custom printed on thick, fine artist canvas with aluminum grommets or on our signature poster paper. Our alphabet posters are available on our signature poster paper or mounted on gallery wrapped canvas. Our personalized tshirts for kids are machine printed on super soft cotton tees. All of our personalized growth charts,posters, baby keepsakes, personalized tshirts for kids and big sister tshirt and big brother tshirt collections are created with care, craftsmanship and love. 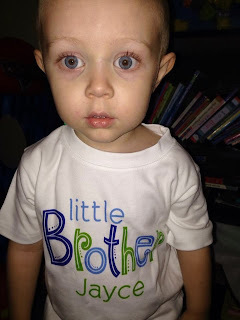 We are also so proud to proclaim that all of our personalized growth charts, posters, baby keepsakes, big sister tshirt and big brother tshirt collections, 1st birthday shirts and personalized baby onesies are printed and created in the USA. Would you like to win a $25 Dollar Gift Card to Petite Lemon?? Enter the Rafflecopter Below for your chance to win.. I'm torn between the tshirts and the photo posters - there are a lot of choices and both are so cute! Personalized items make it priceless! A growth chart! So cute!